As the Komatsu WA420-WA450 have been replaced by the larger WA470, they can still work hard for you as long as you keep them up. The easiest yet often overlooked fix is to replace your Komatsu WA420 Tires, Komatsu WA430 Tires and Komatsu WA450 Tires before its too late. 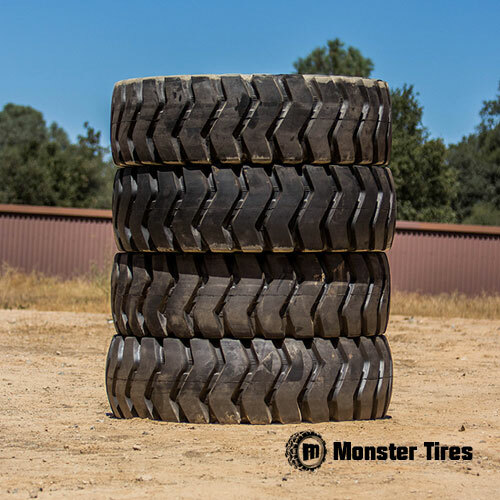 When you call Monster Tires, we can help you decide if it is time to replace your Loader Tires or answer any questions you may have. Monster Tires always has a large stock of all Komatsu Wheel Loader Tires for the best prices around and offers fast and cheap shipping directly to your door. Contact Monster Tires today to get tires on the way to your business or construction site today.